That’s pretty heavy — Lucas has spent his whole life creating his universe; Cameron’s film is (far as I know) a one-off. In fact I never would have wondered whether Avatar would be the “next” Star Wars if I hadn’t read this — so perhaps that was a little gamesmanship by Lucas, perhaps he was intentionally setting the bar too high. Because Avatar is not the next Star Wars. It’s a good movie, certainly a quantum advance in digital effects, but it doesn’t come close to Star Wars in terms of complexity. Does it create a universe? Sure, or at least a planet. But the nagging question I had for George Lucas is this: Is creating a universe really so hard or rare? 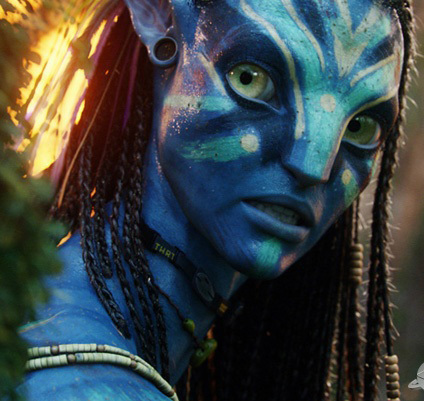 Films don’t do it too often — look back through the top-grossing films of the last few years and Avatar is, indeed, the first blockbuster sci-fi/fantasy since Revenge of the Sith in 2005. But that doesn’t mean there’s a dearth of universe-creating. It’s just happening in video games. As I watched the opening scenes of Avatar, I felt like I’d been through this before — this was Halo, or Doom, or Bioshock. The intro was uncannily like a video-game setup. I couldn’t shake that feeling throughout — that Avatar was a good film that might ought to have been a video game. There’s no way to check this, but I wonder whether the critics and viewers who are so nutso about Avatar happen to be a bit ignorant about the state of console gaming.